Apologies for the late posting today. Beth came back from her daddy's, so we've had gossip, hugs and kisses to catch up on, then we went to the hairdressers, and then to top it all, she's a poorly Boo Boo too. She's come back with a cough that's like a cross between a bark and a quack, so she's feeling justifiably sorry for herself an in need of more mummy huggles. 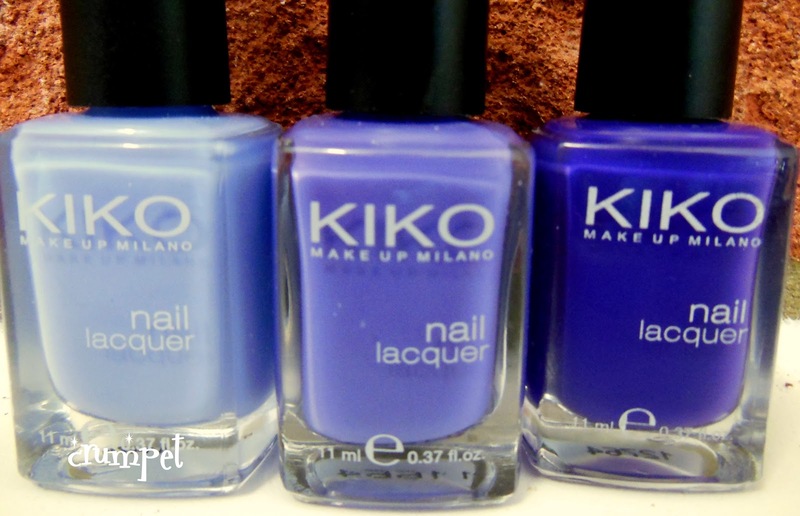 The KIKO formula is fabulous - thick but not gloopy, deliciously creamy - and the colour is intense on overload. The only thing I HATE is that they give their polish numbers rather than names. On the website, they do list the names - "indigo", "gray green", they clearly went to school with Barry and his M - but they only go with the number on the bottle gggrrrrr. For the gradient I started with 2 coats of 338 Light Lavender. 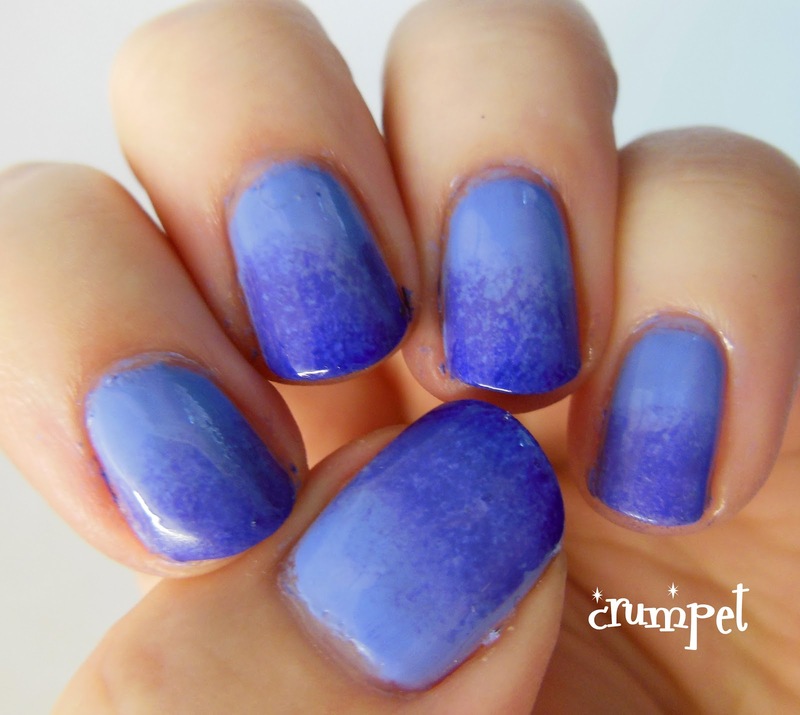 This is a gorgeous creamy blue toned lavender. 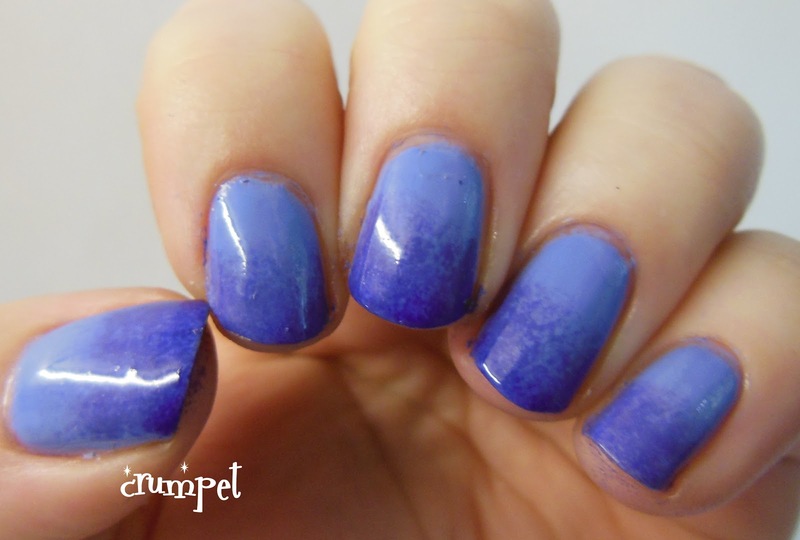 I then used 332 Dark Violet and 333 Brilliant Violet with the 338 for my gradient. As usual, I painted 3 thick stripes on my plastic surface, smooshed my sponge into them, and then placed the sponge on the nail. 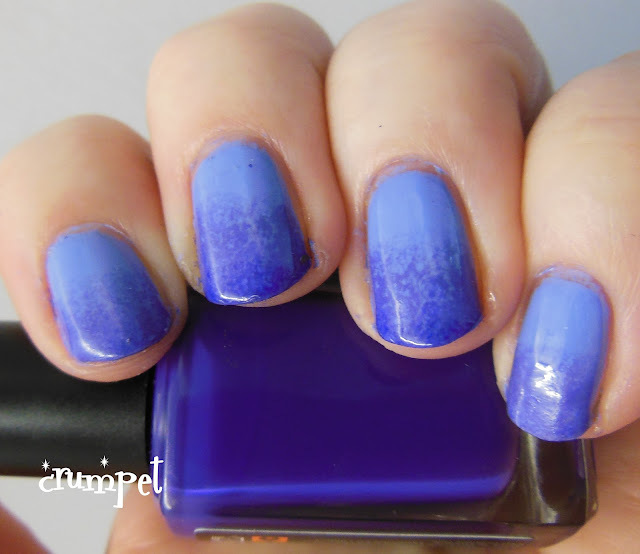 I did this between 2 and 3 times for each nail, until I was happy with the colour saturation. 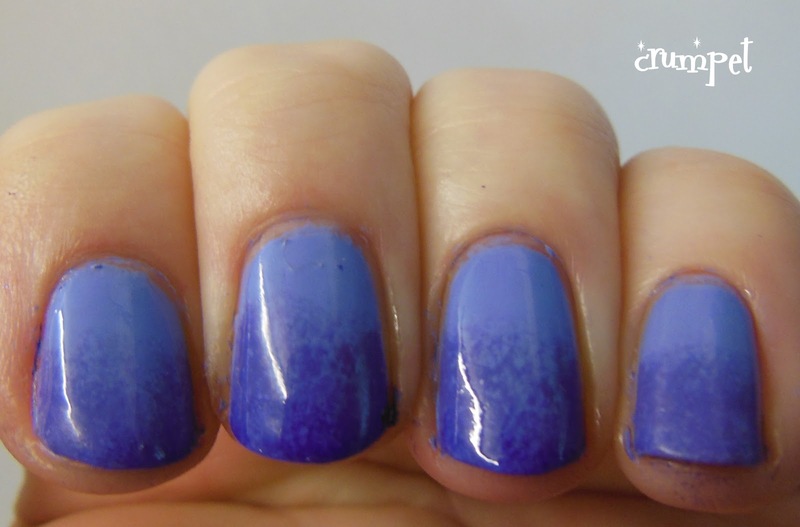 Also, one of the nails looked too distinct, so I sponged again, from a slightly different angle to give a bit more blurring.